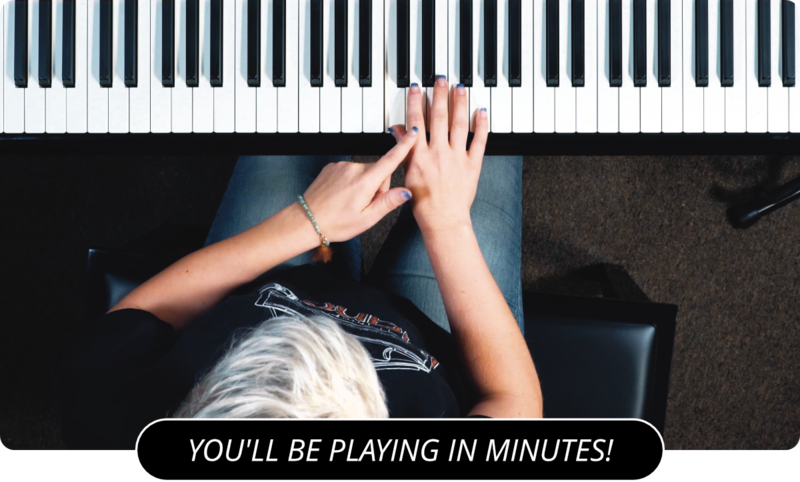 Learn How To Play The Jazz 251 Chord Progression On Piano! The 2-5-1 chord progression is a famous chord progression used primarily in jazz music. But what do I mean by 2-5-1 chord progression? Well, lets use the key of C as our starting example. The 2 chord is based on the second note of the scale, so in the key of C the 2 chord is a D. For the 2-5-1 progression popularized by jaxx, we are going to use a D minor 7 chord, which is made up of the notes D, F, A and C.
So, we have our 2 chord. Let's find out what our 5 chord is going to be. The fifth note of the C major scale is G. For the 2-5-1 progression we are going to use a dominant seventh chord. The G dominant seventh chord is made up of the notes G, B, D, and F.
The final chord of our 2-5-1 progression is based on the root note, which in our case is C. It is also a seventh chord, this time a major seventh. It is made up of the notes C, E, G, B. Now play all three of those chords together and notice the different sounds that the minor, dominant, and major seventh chords make. You can see that, played in that order it is a very jazzy sort of feel, which explains its popularity in jazz music. Now lets try to build the same progression in another key. Say the key of F. We know from our knowledge of the scale that the 2 chord is the G minor seventh, the five chord would be the C dominant 7, and the root chord, of course, would be the F major seventh. Lets do another one. This time lets try the key of A. The two chord is the B minor seventh, the five chord is the E dominant seventh, and the root chord is the A major seventh. So there you have the 2-5-1 chords progression, one of the most popular chord progressions in jazz music. You also know how to create the piano chord progression in any key. If you have an interest in jazz music, try to incorporate what you have learned into your song writing. For the more lessons on jazz check out these Jazz Piano Lessons .